When Mouse’s dad asks her to clean out her dead grandmother's house, she says yes. After all, how bad could it be? Answer: pretty bad. Grandma was a hoarder, and her house is stuffed with useless rubbish. 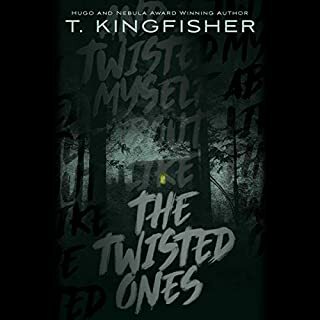 That would be horrific enough, but there’s more - Mouse stumbles across her step-grandfather’s journal, which at first seems to be filled with nonsensical rants...until Mouse encounters some of the terrifying things he described for herself. Children have always disappeared under the right conditions - slipping through the shadows under a bed or at the back of a wardrobe, tumbling down rabbit holes and into old wells, and emerging somewhere...else. But magical lands have little need for used-up miracle children. Nancy tumbled once, but now she's back. The things she's experienced...they change a person. The children under Miss West's care understand all too well. And each of them is seeking a way back to their own fantasy world. Catherine Helstone's brother Laon has disappeared in Arcadia, legendary land of the magical fae. Desperate for news of him, she makes the perilous journey, but once there, she finds herself alone and isolated in the sinister house of Gethsemane. 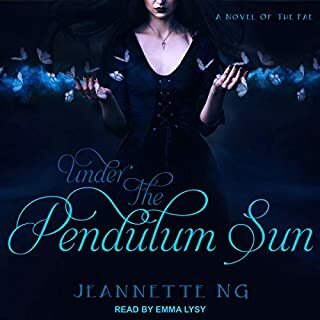 At last there comes news: Her beloved brother is riding to be reunited with her soon - but the Queen of the Fae and her insane court are hard on his heels. Meet Roger. Skilled with words, languages come easily to him. He instinctively understands how the world works through the power of story. Meet Dodger, his twin. Numbers are her world, her obsession, her everything. All she understands, she does so through the power of math. Roger and Dodger aren’t exactly human, though they don’t realise it. They aren’t exactly gods, either. Not entirely. Not yet. Severin Unck's father is a famous director of Gothic romances in an alternate 1986 in which talking movies are still a daring innovation due to the patent-hoarding Edison family. Rebelling against her father's films of passion, intrigue, and spirits from beyond, Severin starts making documentaries, traveling through space and investigating the levitator cults of Neptune and the lawless saloons of Mars. Among the ashes of a dying world, an agent of the Commandant finds a letter. It reads: Burn before reading. Thus begins an unlikely correspondence between two rival agents hell-bent on securing the best possible future for their warring factions. Now, what began as a taunt, a battlefield boast, grows into something more. Something epic. Something romantic. Something that could change the past and the future. Except the discovery of their bond would mean death for each of them. Aster lives in the low-deck slums of the HSS Matilda, a space vessel organized much like the antebellum South. For generations the Matilda has ferried the last of humanity to a mythical Promised Land. On its way the ship's leaders have imposed harsh moral restrictions on dark-skinned sharecroppers like Aster, whom they consider to be less than human. A century ago, the Sentience Wars tore the galaxy apart and nearly ended the entire concept of intelligent space-faring life. In the aftermath, a curious tradition was invented - something to cheer up everyone who was left and bring the shattered worlds together in the spirit of peace, unity, and understanding. Once every cycle, the civilizations gather for the Metagalactic Grand Prix - part gladiatorial contest, part beauty pageant, part concert extravaganza, and part continuation of the wars of the past. The Devil comes to Moscow, but he isn't all bad; Pontius Pilate sentences a charismatic leader to his death, but yearns for redemption; and a writer tries to destroy his greatest tale, but discovers that manuscripts don't burn. Multi-layered and entrancing, blending sharp satire with glorious fantasy, The Master and Margarita is ceaselessly inventive and profoundly moving. In its imaginative freedom and raising of eternal human concerns, it is one of the world's great novels. Seven years ago the Atargatis set off on a voyage to the Mariana Trench to film a mockumentary bringing to life ancient sea creatures of legend. It was lost at sea with all hands. Some have called it a hoax; others have called it a tragedy. Now a new crew has been assembled. But this time they're not out to entertain. Some seek to validate their life's work. Some seek the greatest hunt of all. Some seek the truth. But for the ambitious young scientist Victoria Stewart, this is a voyage to uncover the fate of the sister she lost. To win an impossible war, Captain Kel Cheris must awaken an ancient weapon and a despised traitor general. Captain Kel Cheris of the Hexarchate is disgraced for using unconventional methods in a battle against heretics. Kel Command gives her the opportunity to redeem herself by retaking the Fortress of Scattered Needles, a star fortress that has recently been captured by heretics. Cheris' career isn't the only thing at stake. If the fortress falls, the Hexarchate itself might be next. Koschei the Deathless is to Russian folklore what devils or wicked witches are to Western European culture: a menacing, evil figure; the villain of countless stories that have been passed on through story and text for generations. 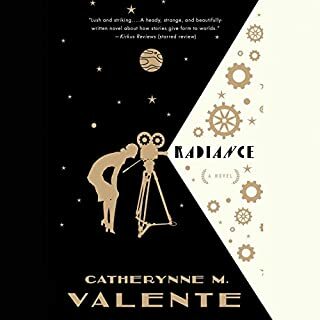 But Koschei has never before been seen through the eyes of Catherynne Valente, whose modernized and transformed take on the legend brings the action to modern times, spanning many of the great developments of Russian history in the 20th century. Tristran Thorn has lost his heart to the hauntingly beautiful Victoria Forester. One crisp October night, as they watch, a star falls from the sky, and Victoria promises to marry Tristran if he'll retrieve the star and bring it back for her. It is this promise that sends Tristran on the most unforgettable adventure of his life. Between life and death, dreaming and waking, at the train stop beyond the end of the world is the city of Palimpsest. To get there is a miracle, a mystery, a gift, and a curse - a voyage permitted only to those who’ve always believed there’s another world than the one that meets the eye. Those fated to make the passage are marked forever by a map of that wondrous city tattooed on their flesh after a single orgasmic night. To this kingdom of ghost trains, lion-priests, living kanji, and cream-filled canals come four travelers. Princess Esofi of Rhodia and Crown Prince Albion of Ieflaria have been betrothed since they were children but have never met. At age 17, Esofi’s journey to Ieflaria is not for the wedding she always expected but instead to offer condolences on the death of her would-be husband. But Ieflaria is desperately in need of help from Rhodia for their dragon problem, so Esofi is offered a new betrothal to Prince Albion’s younger sister, the new Crown Princess Adale. The Christian Patriarch of Constantinople is fighting a holy war against the forces of Islam. His attempts to rally the support of Europe fail to give him the strength he needs against the forces of Islam. Fearing defeat, he sends his appeals to the great Christian king in the East, Prester John - for the Patriarch was once a boy named Kostas, a novice in the service of John, long before he became king. The Patriarch’s message, seemingly via divine providence, manages to cross into the world of John’s Kingdom, where John’s devotion to Christ overcomes his wife’s misgivings. 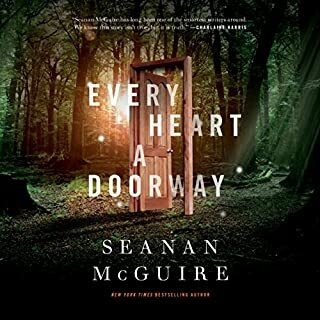 To Hagia, Christianity and Islam are equally foreign to her and her world, and neither is worth fighting for, or against.The Kingdom rallies behind John’s banner, and his magical hosts march across the worlds. The closer the armies of Prester John come to Jerusalem, the more information reaches the Patriarch as to its nature, and the less comfortable he feels with his alliance.Can John and his armies save Jerusalem? Will the Patriarch remain an alley, or become a deadly enemy? And what will happen to the worlds now that an army has breached the barriers between them? 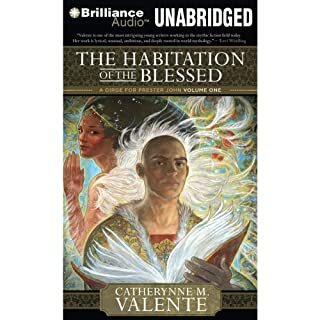 Mythopoeic Award winner Catherynne M. Valente continues to re-imagine the legends of the Middle Ages, creating a rich fantasy tapestry that has captivated the imaginations of modern readers. 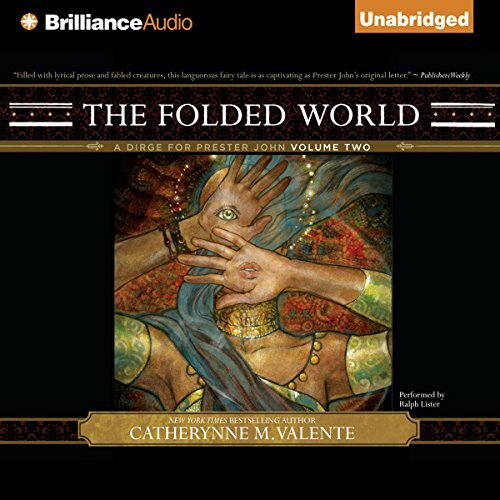 ©2011 Catherynne M. Valente (P)2011 Brilliance Audio, Inc.